We are the Surbiton Heritage Amateur Radio & Electronics Society. We are a local group interested in the Amateur Radio and Electronics Hobby for education and leisure. We hold meetings with practical demonstrations for members and the local community. We train people in practical skills and examinations required for electronics and radio qualifications including the Advanced licence. Access is via the recessed left hand entrance which has a ramp. Free parking is available at either side of the church on a first come basis. We meet normally on the 1st Wednesday of each month at 8:00pm – 9:30pm. We also attend local radio rallies and field events. Entrance is £3 for non-members and refreshments are provided. The Society is funded from members donations, surplus equipment sales, and courses. You may wish to attend our regular meetings where you will be made welcome. You can find further details on the Membership and Contact Us page. 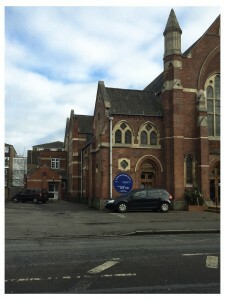 39 Ewell Road, Surbiton, KT6 6AF, UK.